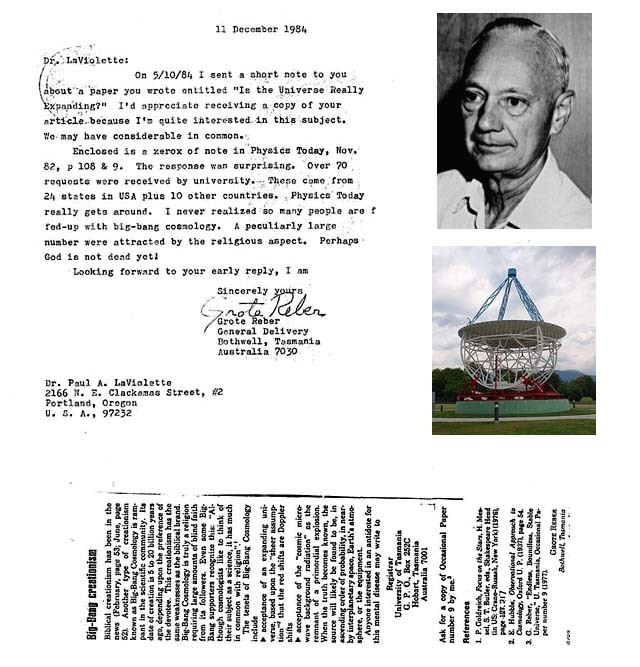 LaViolette’s study was published in the Astrophysical Journal in 1986 under the title “Is the Universe Really Expanding?” However, getting it published against the countervailing tide of the big bang mindset that gripped the astrophysical community was no easy task. It took him a total of eight years. 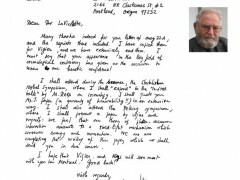 He first submitted his paper in 1978 while he was a doctoral candidate at Portland State University, choosing to submit to the Astrophysical Journal (ApJ). But referees rejected his paper. 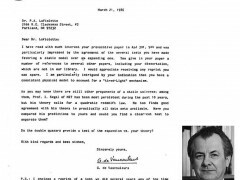 During the following six years his paper was rejected by three other journals. Finally, in 1984 he resubmitted to ApJ. The paper went through at least three review cycles. Each time it was returned with the objections of the referee, and each time LaViolette successfully countered the objections. 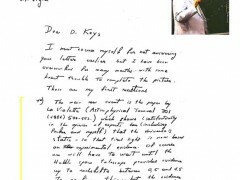 For example, one referee objected that LaViolette had not examined the two competing cosmologies against test data on a particular cosmology test. But when LaViolette checked the two hypotheses on the suggested cosmology test, the tired-light model again came out the winner. In the end, the referees could offer no reason to reject the paper. In fact, one referee, who was obviously the more liberal of the group, quipped that if the big bang cosmology was now disproven, what cosmology does the author suggest that it be replaced with? 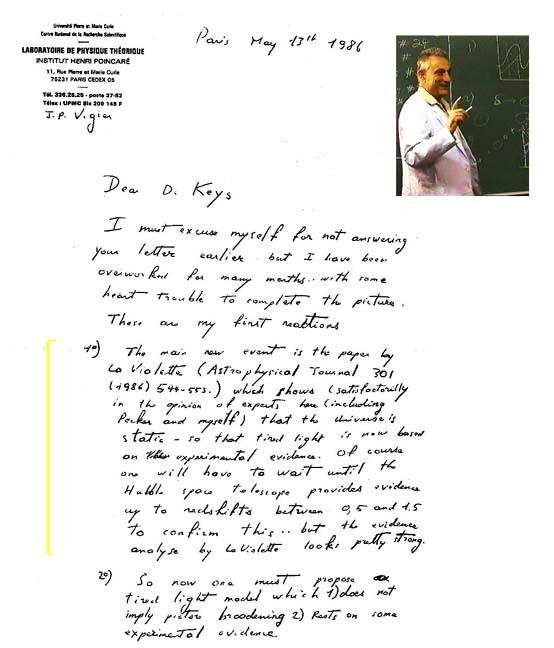 This gave LaViolette the opportunity to include at the end of his paper a few paragraphs summarizing the continuous creation cosmology that emerged as a prediction of subquantum kinetics field theory, the same theory that predicted the stationary universe tired-light effect. After some delay the paper was finally accepted. 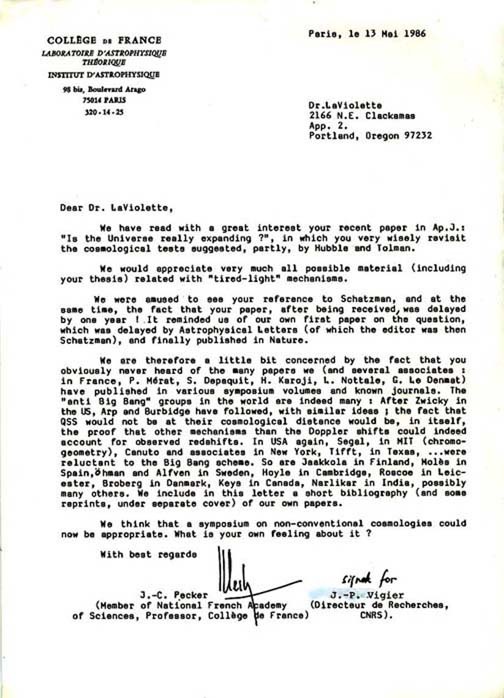 Some credit for the paper’s acceptance must go to Helmut Abt, who served as editor of the journal at that time and who was known for his policy of fairness. 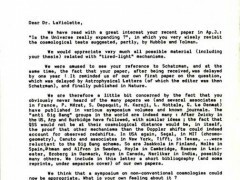 There was little media publicity of the big bang theory’s defeat following the publication of LaViolette’s paper. Astronomy magazine, however, did include a news item about these findings in the “AstroNews” section of their August 1986 issue. Nevertheless, despite the media silence, his Ap. 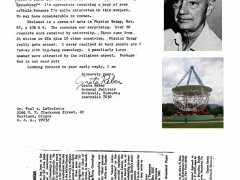 J. article did create quite a stir in the astronomical community since not all astronomers were sold on the big bang theory. 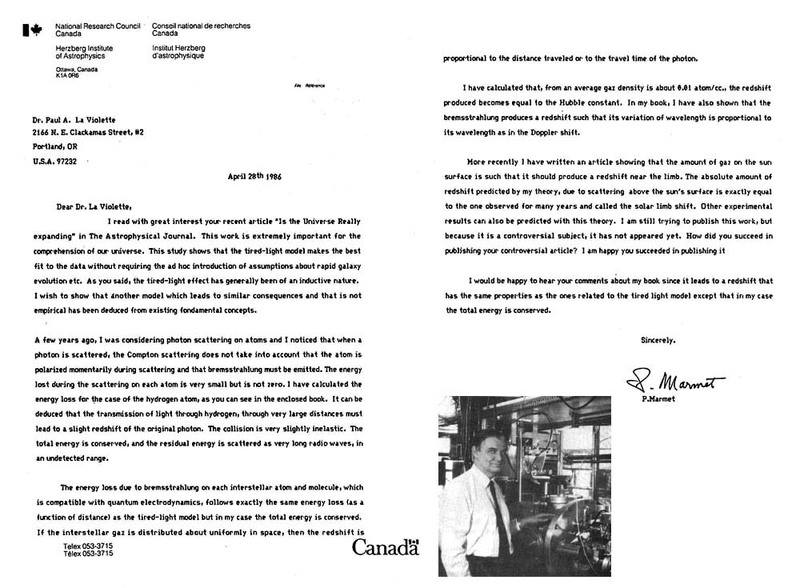 LaViolette received letters from many notable astronomers and astrophysicists complimenting him on his landmark achievement. 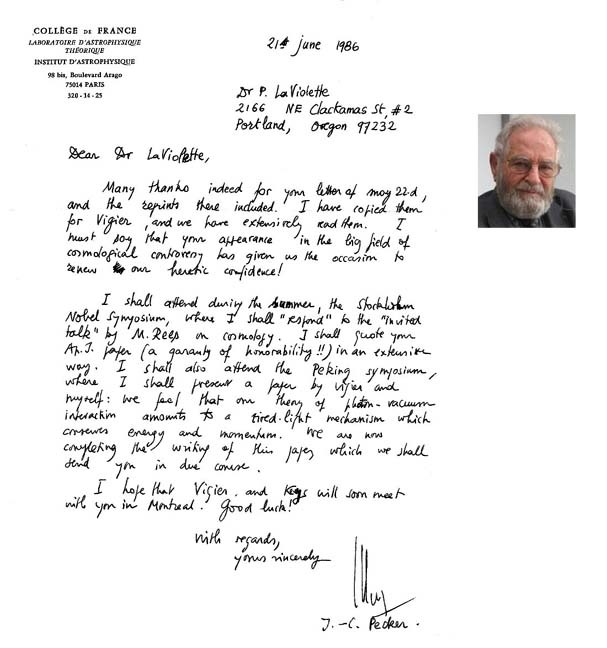 Letters came in from people such as professor Georges de Vaucouleur of the University of Texas at Austin; Jean-Claude Pecker, member of the French National Academy of Sciences and professor at the College of France and from Jean-Pierre Vigier director of research at CNRS and former assistant to Nobel Laureate Louis deBroglie; Prof. Pecker (second letter); Dr. Vigier (second letter); Grote Reber, father of radio astronomy; professor Paul Marmet of the National Research Council of Canada; and professor Dean Turner of the University of Northern Colorado. 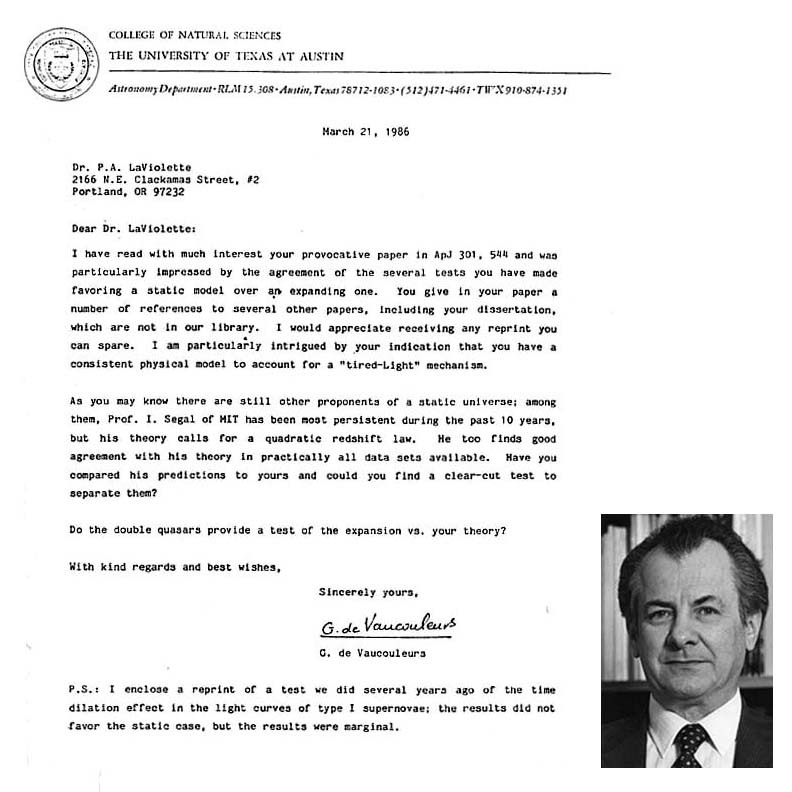 Even cosmologist Alan Sandage favorably referenced LaViolette’s study in the cosmology review article he published in the 1988 edition of the Annual Reviews of Astronomy and Astrophysics. Even today many prominent researchers have taken a stand against the big bang theory. 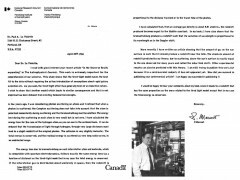 Their names may be seen as signatories of the Open Letter to the Scientific Community published in 2004 in New Scientist magazine.